So, before you get involved in this, let me tell you the short answer for this question, does adding schema.org markup improve your content ranking position in Google search results? Before I answer that question, let me stress on a very important thing, schema.org markup is a code you put in a webpage to provide more details to help search engines return useful and informative results to search users. So, the answer is: No! Yes, sadly; the direct relation between adding schema.org markup and ranking position in search results is unknown, it’s still mistry! It seems Google won’t share this kind of information, they never been open about this. From the other hand, there is no enough researches or case studies to reveal the truth. Mentioning schema markup and how it can benefit your website. About getting started with implementing schema markup. About how to implement schema markup by adding some scary code straight to your pages. Recommending WordPress plugins that helps you add the markup. However, there is still no hard evedent of direct relation between a high ranking spot in search results and if a webpage includes shcmea.org markups or not. So, most of those who wrote artiles about schema.org benefist and implementation were talking about what they have no idea of, really! Only very few articles I read were actually valuable. For me, this was a different story, I haven’t wrote about how to add schema markup to give people examples! Instead, I’ve spent several hours, weeks, and months working on a solution, something that do give real value, and put that to work. 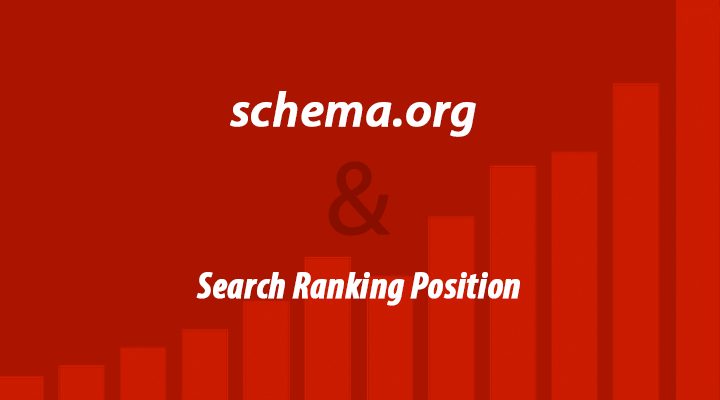 Schema isn’t going to increase any webpage ranking position in search resutlts, schema.org markup isn’t about that! Stop being selfish and help in making search engines better! I believe adding schema markup is a good call, so I’ve done it to most of my sites. Even here at the Famous Blog, it’s all marked up. I went ahead and developed Schema.org plugin for WordPress users to make it super easy for publishers, news agencies, writers, and bloggers to add schema.org markup to their content, by simply doing nothing extra. So, What else Schema markup is good for? Schema markup can increase your organic search traffic, indeed! This is proven, I’ve personally done it, still doing it, and been helping out many people with their websites every day in the last 4 years of my life! You can definatly try it out, marking your content with different types of schema.org markup (example: Review, Product, Recipe, etc. ), these types may lead Google to display Rich Snippets in search results, and it is worth it. And, if you are into a simple WordPress review plugin, you must check out the Schema Review extension for Schema plugin, which is made for Authors and Editors reviews. So, if you like to review things, get that plugin. It should increase CTR of your search results, which means more traffic and conversion. Want more advanced reviews features? Get WPRS, a schema review plugin that will give you the power of building a complete reviews site. I’ve been working closely with SEOs and internet marketers who reported 300% increase in their site search traffic, and others who wasn’t been able to make a single dollar sales before implementing schema.org markup to their sites. 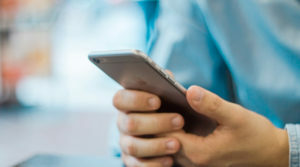 While the data over the years has showed that there is value in adding structured data to your site, much of it revolved around whether or not you could get a rich snippet in search results and the increased click through rate, and ranking position of those results. Can wrong implementation of Schema impact on rankings? This question has been answered in Quora, my answer is: No! I’ve seen a lot of sites with wrong schema.org markup implementation, duplication, and many errors, no complains! To Markup or Not To Markup? 1- You got hit by schema? That plugin will take care of a stressful extra daily task, done for you. 2- You don’t care about schema? You are good, maybe you will be left behind when schema.org markups become a ranking factor. But any ways, you are a happy person for now, no worries, you can catch up later! If you have added schema.org markup to your site and got great results or even not very good results, I would love to hear about it! While I agree that schema is not in itself important to rankings (currently) it is VERY important to the long term health of your blog. Until search engines get much better at determining exactly what a blog or post is about giving them a helping hand by using schema is a good idea. It will help get your post categorized which in turn gets you more targeted traffic which will turn will drive up conversions. The search engines get better results the blog owner gets better traffic. A win/win situation! Hi, schema.org can help search engines show the most important data from your website which you want your users to see. So its not going to increase ranking directly, instead is users find relevant data in your website with ease, the chances are more they'll visit you again, so in a long term you can expect increase in ranking. Great Post & Very Interesting that it is not a direct rankings factor. However it would be considered an indirect factor due to higher CTRs and thus more organic traffic to the site. Thanks for clearing this up! I was too confused about the Schema markups and this post cleared a lot of doubts. I still have a question. Is it benificial to add breadcrumbs navigation to our blog. Does it improve rankings? Hi Vipin, Here is what I think... When you mark up breadcrumb on your pages, Google can identify it and use it to understand the structure of your site. This helps Google to present the information on your pages in search results. There is also benefit for the user/visitor since breadcrumb makes it easier to navigate a website (example: e-commerce sites), this helps to reduce the negative factors like website’s bounce rate, which may help pages to rank higher in SERPs. Hey Hesham To be honest i never knew what is schema.org. But your post really cleared what is it. Thanks a lot for that :) Moreover, this schema.org is really difficult for me to understand, but you have explained it in a very simple way. I appreciate you. Thanks brother, number of times i looked out my web page source to correct schema.org Markup but got failed, now i feel that i need not to spend my expensive time into this matter. Adding them in the correct place is a good practice. But the problem is some people abuse them to gain an advantage in search engine results. 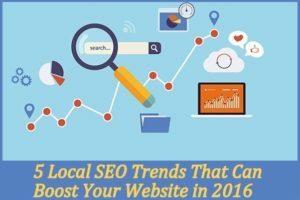 Although it might not directly impact search engine rankings what it does is gives more focus to your search result. Which in turn help with the CTR and probably help in ranking better as well. Nice article. It's true, after implementing schema markup we got more organic traffic but position in search didn't change. Anyway, schema markup can be useful.